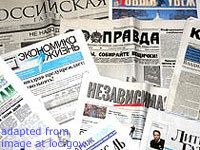 Dmitry Muratov, the veteran editor-in-chief of the independent Novaya Gazeta newspaper is stepping down from his post. Muratov has been in his position for 22 years, and shepherded the independent newspaper and site through the turbulent years after the fall of the Soviet Union and the Boris Yeltsin administration, and since 2000, the regime of President Vladimir Putin. He joined Novaya Gazeta, founded by Mikhail Gorbachev, in 1995 after a stint at the state-owned Komsomolskaya Pravda. The newspaper is one of only a handful remaining independent outlets, and is famous for its hard-hitting investigations, most recently on the MH17 plane downing and the persecution of gays in Chechnya. On Muratov’s watch, five Novaya Gazeta journalists have been murdered in the line of duty, most notably investigative reporter Anna Politkovskaya in 2006. “Dmitry Andreyevich is tired,” a source at Novaya Gazeta told RBC, using Muratov’s patronymic. Muratov will head a newly established editorial council, a source at Novaya Gazeta told RBC, thus retaining control over key issues. Three people will be competing for the job of editor-in-chief: Alexei Polukhin, chief editor; Sergei Kozheurov, general director; and Kirill Martynov, editor of the politics and economics department at the newspaper.